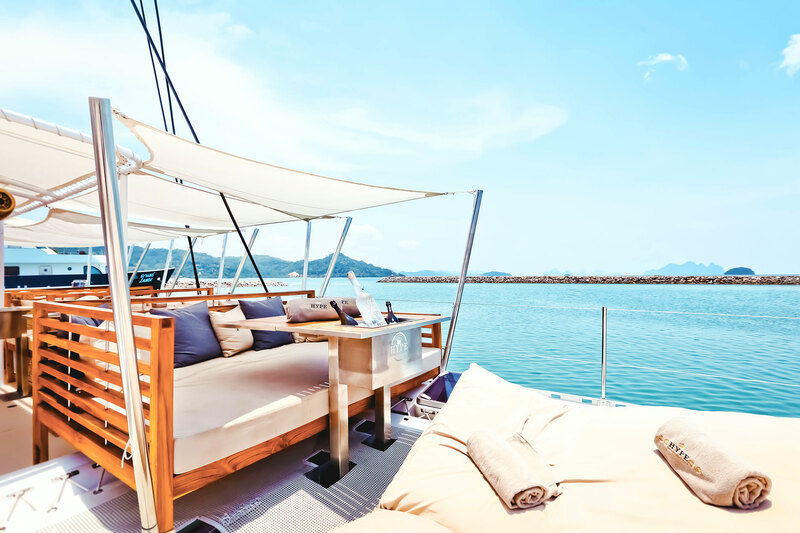 HYPE LUXURY BOAT CLUB Phuket – Hype Luxury Boat Club & Yacht concept is a beach club on the sea on a big stylish Catamaran featuring comfortable sunlounger day beds and a spacious trampoline. We offer to our guests a selection of delectable finger food from traditional thai food to Sushi and tapas and a bar with an extensive menu of fine champagnes, spirits and cocktails. The boat is fitted and designed to your comfort, and our DJ will accompany your day from an atmosphere of lounge music to club mixes. Far from the hustle and bustle of the island, our cruise offers guests a breath-taking day on the crystal water of phuket’s west coast, and at the end of the day a magical sunset. 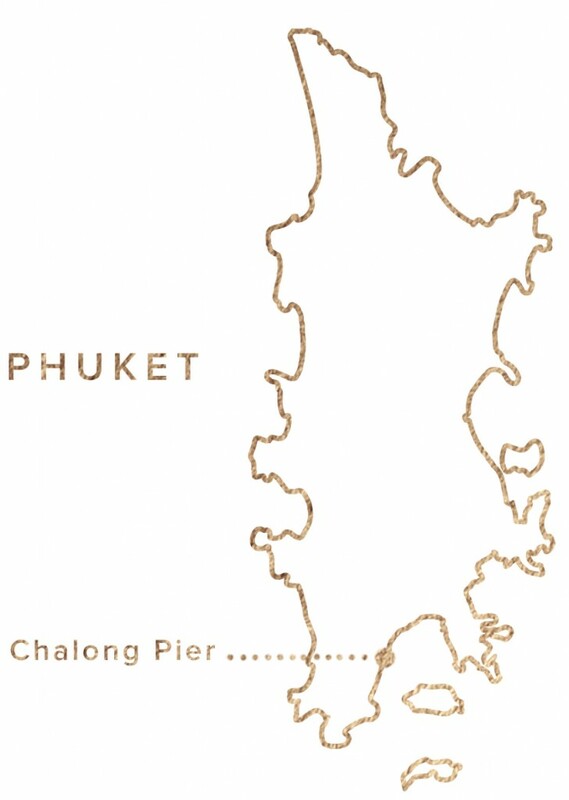 This is the unique concept of the island in Phuket and all the ingredients are here to provided you an amazing day. HYPE concept is a beach club at sea on a big stylish Catamaran featuring comfortable daybeds, professional crew and hostesses . We offer our guests a selection of delectable finger food from traditional Thai food to Sushi and tapas. A bar with an extensive menu of fine Champagnes, spirits and cocktails. The boat is fitted and designed to your comfort and our DJ will entertain your day from an lounge music atmosphere to club mixes. Far from the hustle and bustle of the island, our cruise offers guests a breath-taking day on the crystal water of Phuket and at the end of the day a magical sunset. This is a unique concept on Phuket Island and all the ingredients are here to guarantee an amazing day.